I realize that most of the announcements about the new shows for this coming Fall season just went out and that none of them has aired a single episode yet and will not until September or later. But that’s not dissuading me from making some early predictions. I’ve seen the trailers, read the synopses, and observed where they have landed on the schedule. And I’ve been monitoring the performance of sci fi/fantasy shows in the ratings for years now, so I tend to have a good gut feel for how things typically fall out once the season begins. I have posted the full Fall schedule of new and returning genre shows at this link which also includes the official descriptions and trailers (where available) for the new entries. And here’s my quick look at the freshman class will fare once the season begins. Take these with a grain of salt, because we really don’t know how good any of these shows really will be at this point. But I’m still willing to stick my neck out there and make a few guesses. Is there really any doubt about this one? A spin-off from one of the all-time highest grossing films with fan favorite Joss Whedon at the helm? This one should definitely grab that broad appeal that networks always covet, and Whedon can still have leeway to slip in some of his trademark quirkiness. I know I’m pumped about this one and I’m thinking a large part of the Prime Time audience is as well. Chances: As much of a sure thing as you can get. This buddy cop series from J.J. Abrams has a twist: one of the cops is a robot. The trailer makes the show look pretty decent, but you can still see traces of the standard cop show tropes that could weigh it down (and will it really deliver on the sci fi side or just give us cops in the future?). It will step in late Fall to lead off Mondays for FOX and could succeed at grabbing that same cross-genre appeal of sci fi and cop show as Abrams’ Person of Interest which has done well on CBS. That’s assuming, though, that it lives up to the promise of its trailer and that it can fend off some pretty heavy competition from NBC’s The Voice and the CBS comedy entries during that hour. Yet another return to this classic character, but this period drama looks like it is planing on going all out. And it gets the perfect pairing with NBC’s Friday anchor Grimm which will return for its third season. Since Dracula airs on Fridays and at the 10 PM hour, it doesn’t have to pull huge ratings to be considered a success. And I’ve heard this one is just planned as a limited series, but if it does well in the hour I’m sure they will find a way to let it stick around. Or after it ends, put Hannibal in that slot which would make for another good pairing. The trailer for this one looks pretty darn trippy and I plan on checking it out even though I lost interest in parent series before its first season ended. But then apparently quite a number of people have tuned out on Once Upon A Time based on its ratings slide the second half of this season and that can’t be good for the spin-off. Add in the fact that this one lands in the highly competitive Thursday 8 PM EST timeslot that has been murder for ABC the last few years. It does play better to that hour than this year’s failed Last Resort and Zero Hour, but it still has an uphill climb ahead of it. Chances: Could be the first casualty of the season among the new genre entries. This spin-off from The CW’s successful Vampire Diaries series would seem like a sure thing, but then the parent show is getting a bit long in the tooth and there’s the issues of its network’s struggles. 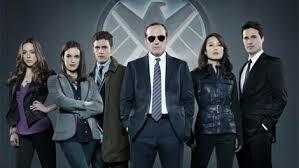 Plus, it is leading off a night that The CW has not done well on in quite a while and it has to contend with potential uber-hit Agents of S.H.I.E.L.D. All of that seems to stack the deck against this show, but then its network is only looking for small victories at this point, so it doesn’t have to climb too high to be considered a success. And I know that the trailer has me interested in tuning in (and I’ve never been a fan of Vampire Diaries) so it may attract an audience beyond the one that follows the original show. It will need it. Chances: Decent because its on the 5th place network. This show about people with enhanced abilities is a prime candidate for a reboot (the original British 70’s series was so cheap it made early Doctor Who look like a big budget production) and it fits right into the youth-skewing audience that The CW targets. Plus, it follows that network’s second highest rated show (Arrow), and it airs on the one night that The CW managed to maintain a 1.0 rating or higher for two straight hours this last season. The preview of the show looks good, and I definitely know I will be tuning in. Chances: The CW’s most likely candidate for a hit. I wasn’t sure what to make of this one when they first announced it, but the trailer definitely piqued my interest. It looks like it will blend elements of Supernatural, Grimm, The Da Vinci Code, and (unfortunately) cop shows. But it also looks like it may have an epic, apocalyptic feel about it and could prove pretty interesting. Its survival all depends on how much FOX expects out of the timeslot which has to contend with the second hour of NBC’s The Voice and the strongest comedy offerings from CBS for the night. Plus, it may not be able to grab that broader appeal networks prefer, making it more a cult show which rarely translates to success on the broadcast networks. Chances: The odds are not in its favor.